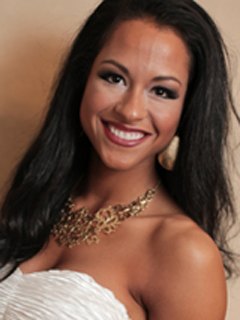 Miss Arkansas USA 2014 is Helen Wisner, 24, of Springdale. Miss Arkansas Teen USA 2014 is Lauren Weaver, 17, of Greenwood. Miss Kentucky USA 2014 is Destin Kincer, 21, of Whitesburg. Miss Kentucky Teen USA 2014 is Megan Ducharme, 18, of Shelbyville. Miss Nevada USA 2014 is Nia Sanchez, 23, of Las Vegas. Miss Nevada Teen USA 2014 is Alexa Taylor, 18, of Las Vegas.